Well, this has no relationship to the challenge, but I'm putting it in anyway. It won't score well, though, so no worries. I think it's pretty, so in it goes! Merry Christmas! This is a small glitter-covered christmas tree ball, by the way. Its called antique christmas balls but then you just see way too much of just one ball, Im confused! I agree. I like the picture and the pov is great, but the title had me guessing. I scored it pretty high, but I still thought I was missing out on something. Nive close up with a magical effect! Cool looking details. Unfortunately, my eye is being drawn up the ball, toward the out of focus section. If the further part of the ball was in focus and the foreground blurry, that may have worked better for me. Too bad macros have such a problem with DOF. 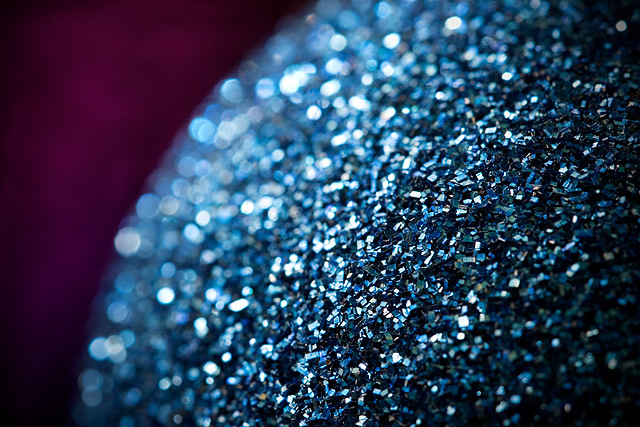 Pretty sparkles and bokeh, and nice background color. Doesn't actually look old, but it's pretty. Very nice abstract - the colors, lighting, and focus are great. Pretty picture, I just wish the concept was more interesting. Proudly hosted by Sargasso Networks. Current Server Time: 04/24/2019 08:19:22 AM EDT.